Good nurses save lives; bad nurses cause iatrogenic injuries and deaths. Do no harm, please comply with infection control practices! Do your job, and do it well. Please learn from patients’ bad experiences and constructive complaints. Nurses must point out impending danger to doctors and other colleagues regardless of their positions in the hierarchy of hospitals. Perform your tasks responsibly; you are an important part of patient safety. Please remember that passionate healthcare workers are the most powerful patient advocates. Grateful patients and their families will always remember your kindness. 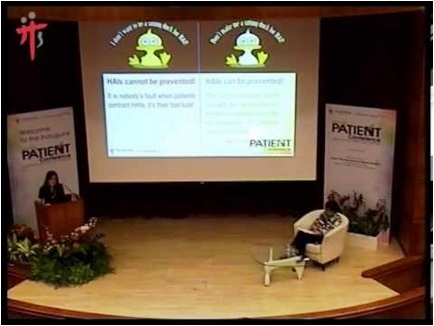 8) 2014 Special guest at the Forum: Partnering patients for safety and quality care – is it a 50/50 partnership? Are you doing your part to reduce HAIs? Please remember that you are an important part of patient safety; you can help in maintaining a safe environment for your patients. You can make a difference! The power of nurses is real! Patient safety – it's everyone's responsibility. Let's urge public hospitals to introduce the new category, “PAd” to identify true patient advocates and engage them in the plan of care. I urge nurses to practise compassion and develop a strong sense of responsibility in order to deliver “tender loving care” to their patients. 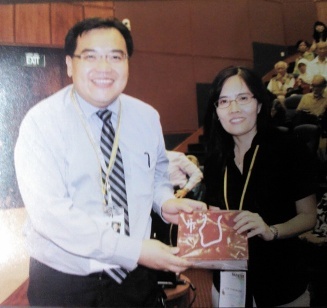 On 28 February 2013, I spoke on the topic, Impact Of Hospital-Acquired Infections – The Family, at the 3rd International Congress of the Infection Control Association (Singapore) with a heavy heart – as I remembered my late father and other patients who had died from hospital-acquired infections (HAIs) in our public hospitals. On a positive note, it was also a day to rejoice as I reckon that patient advocacy in Singapore has made good progress, because the Infection Control Association (Singapore) had given me, a layperson and patient advocate, the opportunity to drive home the message, “Don’t make me a sitting duck for HAI!”, to the congress attendees, who were health-care workers. 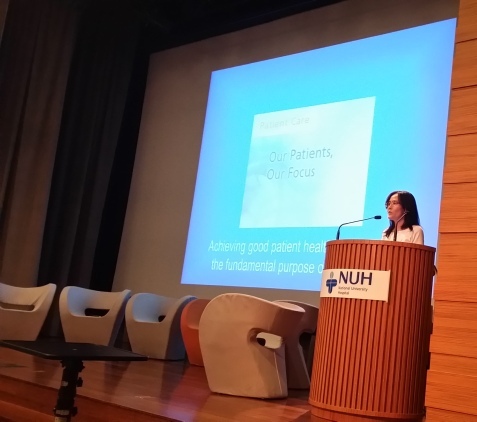 The second speaker at the seminar, Lee Soh Hong, is founder of the website cancerstory.com which provides support to cancer patients and their caregivers. She said during her presentation that she finds welfare for middle and lower income Singaporeans wanting. These Singaporeans have little savings in their Medisave accounts or spare cash for extra insurance coverage. In cases where dependents’ congenital illnesses are not covered under the basic insurance plans, the financial burdens on these individuals can be quite heavy. A life threatening disease is a “very costly affair” and it can get worse if these patients contract an infection during their stay at hospitals and incur an even higher bill, said Lee. Her point was that regardless of how one becomes ill; one will still need to pay for all treatments received. A compassionate doctor will always be fondly remembered by his grateful patients. Are you ready to bring out the great “C” in you?